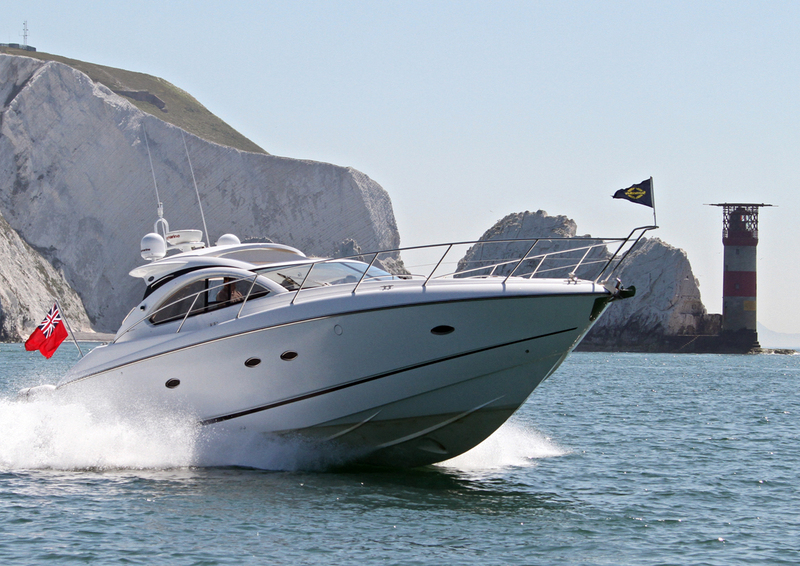 motor cruising and powerboating, whats the difference? Motor cruisers and powerboats – whats the difference, and which one is right for you? Ocean Sports offers a variety of powerboating and motor cruising courses for all skill levels – but if you’re a newcomer to the world of boating it can be tricky to know where to start. Aren’t powerboats and motor cruisers the same thing? Lets clear up the confusion…..
A powerboat is a relatively small motor-driven craft, usually under 10 meters in length and designed for short term excursions. Powerboats are often faster and more nimble than motor cruisers, with their smaller frame allowing for quicker turns and manoeuvres. For beginners and hobby boaters looking to dip their toes in the water, powerboating offers a number of advantages over motor cruisers. Powerboats are easier to learn, cheaper to purchase and run, and while they are generally not suitable for long ocean trips, they are perfect for experiencing the thrill of speeding across lakes, rivers and ocean coastal routes. They are also used for boat tenders for bigger boats. Powerboats come in a variety of forms and engine configurations. At Ocean Sports, students learn onboard our fleet of Rigid Inflatable Boats (aka RIBs) which, as the name suggests, feature a rigid hull surrounded by inflatable tubes – however the skills you will learn can be applied to all kinds of powerboat types. A motor cruiser (also known as a motor yacht) is a larger motor-driven vessel, with the size varying from 10 meters to 40 meters or even more. Most motor cruisers are designed for long distance voyages, which usually means that they feature a greater fuel capacity, chart tables for navigation, and an enclosed cabin with accommodation for overnight travel or staying onboard.